Who wants to stay in the Swagon? Last year I was lucky enough to get to stay in the amazing Gawler Ranges, on this incredible Wilderness Safari Retreat. I wrote about it at the time as part of my journey round Australia – it was one of the highlights of my trip! It’s so beautiful out there, miles from anywhere, well, actually, 600km to the north-west of Adelaide on the Eyre Peninsula! 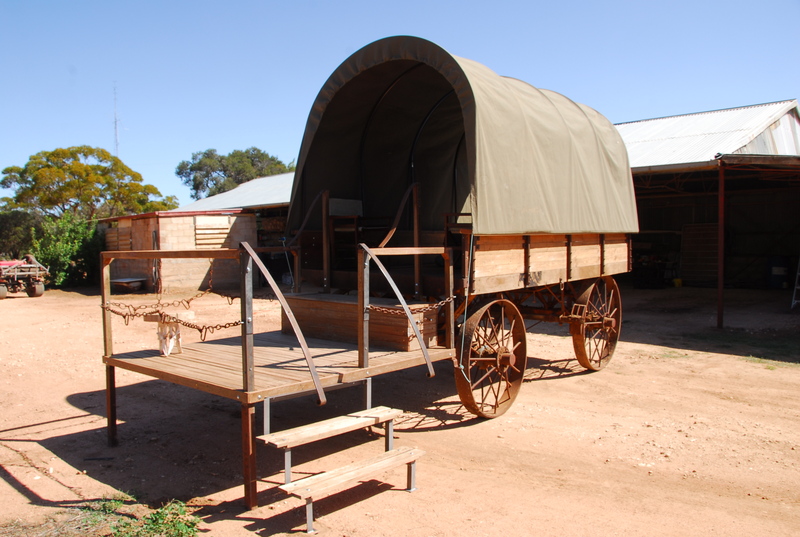 Anyway, my wonderful host, Geoff Scholz had all sorts of ideas about adding to the retreat and as we sat around that huge wooden dinner table at night listening to the sounds of the outback, one of the things we discussed was the Swagon. And look, he’s made it happen! Geoff just sent me these photos! Basically, guests at the Kangaluna Camp are often so overwhelmed by the brightness of the stars at night out there, that heading back to their luxury cabins after gazing at them through a telescope isn’t good enough. So Geoff decided to make the Swagon – a converted wagon, so people could sleep outside! It’s like sleeping in swag, but in a wagon – geddit? 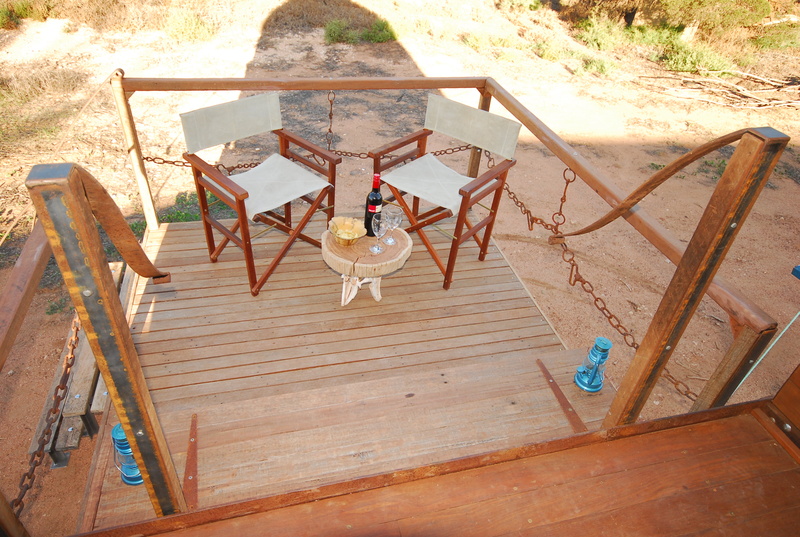 The roof comes right off if you want it to, and he’s even added a little raised deck so you can sit outside and drink your wine without worrying about all those outback creepy crawlies. How awesome is this! I wanna go back! 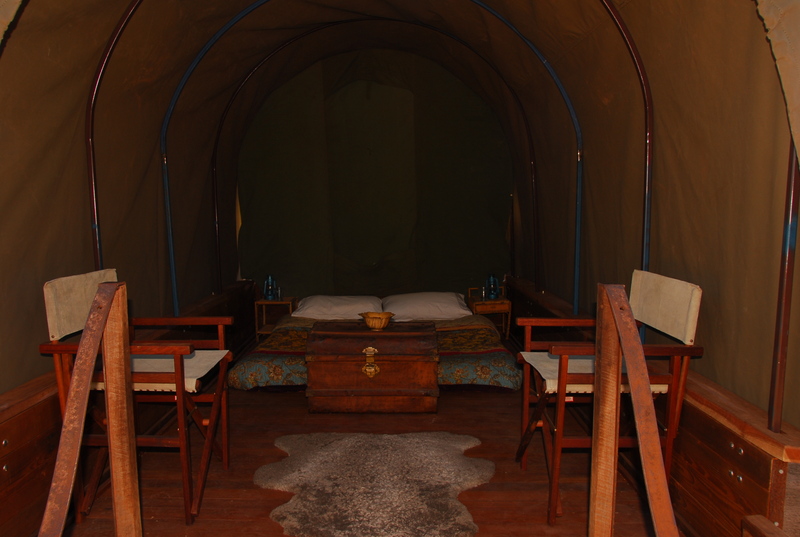 I can highly recommend visiting them at the Kangaluna Camp anyway (read what I did there), but if you go, ask if you can sleep in the Swagon and tell me what it’s like! James Patterson: highest earning, soul-selling SUB-EDITOR?